Sticking to any diet is difficult but there is perhaps no greater challenge to a dieter than attempting healthy eating at work. When you’re working at the office it’s often easy to just go out to lunch every day or take junk food to satisfy cravings. There is no need to plan ahead, which can be very tempting when you’re working long hours or getting up early in the morning. Eating healthy at work requires some dedication and time but it’s definitely worth the effort. One of the easiest ways to eat healthy at work is to bring leftovers from home. Packing small servings of dinner leftovers is a great way to monitor caloric intake and ensure you’re getting a healthy, home cooked meal. This also creates a huge time savings and helps you save a significant amount of money each week. Always bring your own lunch to practice healthy eating at work. This allows you to control both portion size and ingredients. Use an ice pack and an insulated lunch box to keep your food fresh or use a refrigerator at work. Avoid eating at your desk whenever possible, especially if you’re working on a computer or using the phone. There are several reasons for this, although the most important is it keeps your attention away from your food. This makes it very difficult to notice your body’s cues that it’s full, leading to overeating. Instead, take your lunch to the lunch room, or even outside. This is important, even if you only have fifteen minutes to spend away from your desk. You may find you have a lot of extra time to spend during your lunch break now that you’re packing a lunch instead of making a trip to a nearby fast food restaurant. Make good use of this extra time to go for a short walk around the block to get some light exercise and fresh air. This may even help you focus on work a bit better when you return and will certainly help you boost your metabolism after your meal. As a last bit of advice, keep healthy snacks on hand at your desk to keep away afternoon cravings. This may be especially important for anyone who has a vending machine at work. Stash trail mix, dried fruit, energy bars and almonds at your desk to give you a mid-morning energy boost and a sense of fullness that will last until lunch. 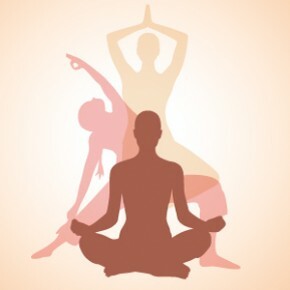 One of the greatest benefits to yoga is its ability to aid in weight loss. All yoga is designed to increase muscle strength, although special forms raise the heart rate enough to be an effective way to lose weight. If you’re interested in yoga for weight loss, the first step is to learn which forms will help you. Today it’s possible to do nearly anything with your phone. Paying bills, keeping track of your busy schedule, editing photos, updating your Facebook status and playing games is all available at the touch of a button. Why not use your phone to track your weight loss and help you achieve your goals, too? 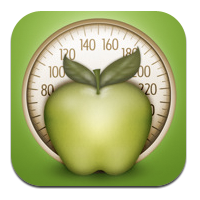 Android and Apple both have a huge range of choices when it comes to mobile apps for weight loss. Some are designed better than others, however, so here’s a quick guide to some of the best out there now. Changing your diet to lose weight can be a real challenge, especially if you go with a very restrictive diet that seems to eliminate everything that tastes good. Fortunately, a number of so-called “super foods” exist that work wonders for weight loss. The top 10 foods for weight loss below work in a number of ways, including being high in water to fill you up with little caloric intake. Working out in the morning or evening: which is better? It may seem like a simple question but there are actually so many conflicting opinions about the best time to work out. While it really is a matter of personal preference, there are some advantages to both options. There are also myths surrounding the time you work out that need to be dispelled. There’s a common myth about working out during mornings. According to this myth, you burn more calories if you work out before breakfast because there are no carbs in your system. Truthfully, exercising on an empty stomach is actually a very bad idea. When you exercise your body must pull the energy from somewhere. Without good carb stores in your body it will instead break down protein for energy. This protein doesn’t just come from nowhere, of course. Your body actually breaks down your muscle to produce energy. The more muscle that is broken down the less fat your body breaks down. As you can see, working out before breakfast is counterproductive. 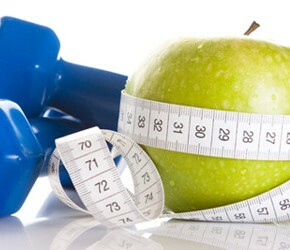 If you have eaten a small, healthy meal, working out in the morning can actually give your metabolism a huge boost. This is because your metabolism is at the lowest point of the day when you are just waking up from sleep. Your body has spent your sleeping hours repairing and now needs energy for the day. 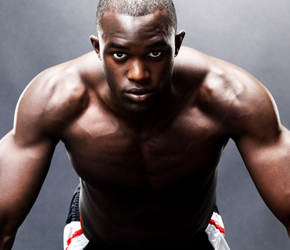 By waking up and working out first thing you are getting your blood pumping and body working faster. This boosts your metabolism and helps it stay high the rest of the day. Many people claim that evening exercise can help you get to sleep. This is definitely true if you give yourself the time to relax after your workout. Be careful not to work out right before you go to bed, however, because this will have your heart and mind racing and it will be difficult to drift off to sleep. Another benefit of an evening workout is this: your body is already warmed up from the day and it can be a great way to reduce stress. Working out in the morning, on the other hand, requires getting up early and giving your body a jump start. When it comes down to it, there is no preferred time to work out during the day. Instead, make sure your workouts are consistent and often and don’t worry too much about the time of day you choose. You may want to try different times and workout schedules to see what works best for you, gives you great results and helps you stay motivated.